People often come to me because they want to try to get an ex back or try to convince a certain someone to be with them in a relationship. When we are searching for someone to share our lives with, getting stuck on a ghost and grasping onto the past will only slow down our healing process and quite possibly prevent us from landing in the arms of someone who truly wants to be there for all the right reasons. Your soulmate is waiting for you. When I say “soulmate” I want to be clear that there are a lot of different bees for a lot of different flowers. I do not use that word in a way that means that there is only one person out there for you. I do not want you to get stuck on someone and have this prevent you from moving forward in your life and finding happiness. Your happiness is just on the other side of all of this pain and hoping for said ghost. The best way to get your “ghost” back, if that’s what you want, is to work on yourself and become the best version of you that is possible. The more you work on your relationship with yourself: your self care, your soul, and your level of kindness, the more you will find wonderful and plentiful options of mates headed in your direction. You’ll one day discover that it made perfect sense that you didn’t end up with that person. When you find a soulmate that fills you up with happiness in every way you’ll thank the stars that the other person backed away from you. It’s a part of life to have connections and pains, and the sooner you realize that it’s time to move toward people who are moving toward you, the better off you will be. In life, the more you resist the “flow” the more difficult things will be for you in your world. There is a reason doors do not open for you. The reason is likely they are not your door. Or perhaps it’s not the time for that particular door. This is a clue that it’s time for you to walk through other doors. Ride the wave of the “flow” and see where it leads you. As a human, it’s one of the challenges that we are meant to face. Although it seems magnified in your personal world, it happens to be a regular and common challenge. If you can accept it for what it is you can move on with greater ease. Resilience is a muscle, which can be built, and this is one of those things you can grow to accept. Don’t take it quite as personally. If that ghost is truly yours, time will tell. If that ghost is truly yours, it will flow toward you again through life’s natural ebb and flow. Megan Weks is an international dating and relationship expert who specializes in helping women get the admiration they deserve from men, and to keep it. She is a certified specialist in her field, but one of her biggest credentials is her personal story. Living in New York City for over a decade, Megan has had the opportunity to meet and date many different men. Through working with a relationship guru, she literally changed from crumb-picking and obsessing over men who didn’t deserve her, to being called a “man whisperer” who men (including her now-husband) would never leave. Megan’s career is devoted to helping women who struggle with the men in their lives, to turn it all around and keep the men they desire. Megan coaches individual women in intense programs with her proven Lean Back for Love System and principles. She also runs a private online woman’s discussion group where women are supported with these principles. You can connect with her on her website www.meganweks.com. LVBX readers are also eligible to receive a complimentary feminine energy mini-session. 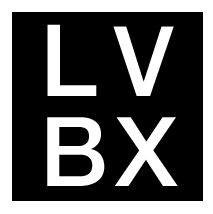 Reach out to her on Twitter or Facebook, and subscribe to her LVBX LIVE videos on LVBX Magazine’s Facebook page.